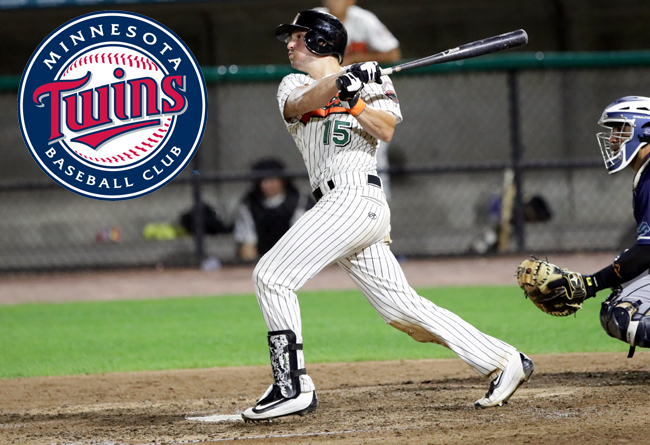 (Central Islip, N.Y., Jan. 8, 2018) – The Long Island Ducks today announced that catcher/first baseman Jordan Pacheco has been signed to a minor league contract by the Minnesota Twins organization. Pacheco signed with the Ducks in May of 2017 and went on to play 42 games with the Flock. He compiled a .273 batting average and a .351 on base percentage along with three home runs, 22 RBI, 22 runs, 13 doubles and four stolen bases. Defensively, the 31-year-old committed just four errors in 40 games combined between catcher, first base and second base. He reached base safely in each of his final 19 games played before suffering a season-ending wrist injury, collecting at least one hit in 15 of those games. The Albuquerque native has six seasons of Major League experience, including parts of four years with the Colorado Rockies (2011-14), two with the Arizona Diamondbacks (2014-15) and one with the Cincinnati Reds (2016). In 377 MLB games, he has compiled a .272 batting average, 10 home runs, 114 RBI, 98 runs and 62 doubles. The University of New Mexico alum was also a member of the Atlanta Braves organization in 2016, spending time with Triple-A Gwinnett of the International League. Pacheco was originally drafted by the Rockies in the ninth round of the 2007 amateur draft. Pacheco becomes the fifth member of the 2017 Ducks to earn a contract with a Major League organization or foreign professional league. He joins right-handed pitchers Henderson Alvarez (Philadelphia Phillies) and Tim Melville (Minnesota Twins and Baltimore Orioles), outfielder Quintin Berry (Milwaukee Brewers) and infielder Nate Freiman (Mexican League). Alvarez, Melville and Berry all were promoted to the Major Leagues during the 2017 season.